The University of Windsor Alumni Association will honour seven graduates who are still in the early stages of their career with its Odyssey Award at its Annual General Meeting and Awards Presentations evening, Thursday, November 21, starting at 5 p.m. in the CAW Student Centre's Ambassador Auditorium. If you plan to attend, RSVP online or e-mail alumni@uwindsor.ca. Dr. Mavrinac works at the Robert Bosch LLS’c Research and Technology Center in Palo Alto, California, where he is responsible for research and development for advanced driver assistance and highly automated driving. At present, he is working on the perception system for an automated vehicle. He is also an open source software developer and has been widely published and says his goal is to contribute to a better understanding of the interplay between the physical world and electronic perception and sensing. 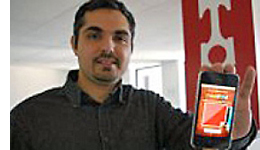 Ali Al-Aasm (BCS 2003), software developer, co-founder of Red Piston Inc.
Al-Aasm is a co-founder of Red Piston Inc. The Windsor company started up nearly four years ago; it develops apps for mobile devices and interactive websites with clients ranging from Lowe’s Canada to Dodge. Red Piston has launched more than 65 high-quality mobile medical and gaming applications that are achieving huge downloads around the world. 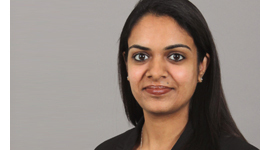 Verma obtained her licence as a Certified Public Accountant, a certification as an Internal Auditor and is a Certified Fraud Examiner. With these designations, she has had the opportunity to work against “white collar crime,” which includes investigating companies for a wide range of fraudulent activities. Currently holds the position of Manager, Forensic Investigation and Dispute Services with Ernst & Young LLP in Chicago. Chiu has performed with the Windsor Community Orchestra and Rockland Symphony Orchestra celebrating Mozart’s 250th Anniversary and the Solomon Milkowsky’s International Piano Festivals in the Canary Islands, Spain and France. A sought-after adjudicator, Chiu has judged competitions for Hudson-Catskill Music Teachers Association, the National Federation of Music Clubs and the Annual Florentine Music Centre—to name just a few. He is also an evaluator for the Royal Conservatory of Music. 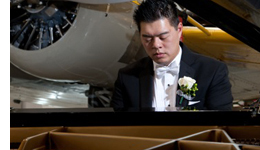 Since 2008, he has been the director of both Cantabile Wedding Music and the Derek Chiu Music Studio. 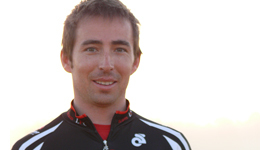 As owner of Loaring Personal Coaching, Loaring is a competitive triathlon, swimming, cycling and running coach. He has been certified in the National Coaching Certification Program since 2009 and uses his own experience as a competitive athlete to help others achieve their personal best. He has participated in over 500 local, provincial, national and international triathlons, swim meets, cycling and running races—and received the “Mr. Triathlete” award from the Ontario Association of Triathletes in 2008. He was the recipient of the Ontario Quest for Gold Scholarship from Sport Canada in 2006. 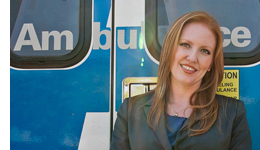 Dr. Gray has dedicated her professional life to helping people who have experienced trauma. In 2013, her dedication helped garner the Future Pioneer of Psychology Award from the American Psychological Association for her work in addressing trauma by working with victims, perpetrators and emergency services providers. Gray has been celebrated for her work providing psychological assessment, psychotherapy, and crisis intervention to first responders, trauma survivors and their families. Pilon is the vice-president of WEtech Alliance, one of 14 Regional Innovation Centres in the province of Ontario, focused on driving the growth and success of technology-centric companies and entrepreneurs in Windsor-Essex. She has served as chair of the promotions and marketing committee for the 2013 Windsor Essex International Children’s Games and was also a member of the games’ organizing team. She was the lead coordinator for Startup Canada’s National Tour visit to Windsor and the committee chair for the Windsor-Essex Regional Chamber of Commerce Business Excellence Awards.